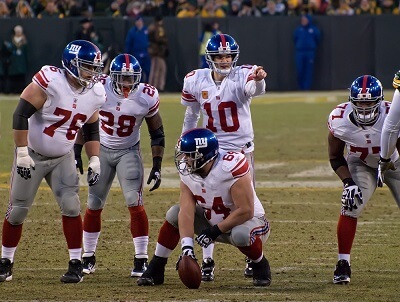 Get notified when New York Giants tickets are available! The New York Giants are a National Football League team that represents New York City in the National Football Conference East. The team was founded in 1925 and won their first championship in 1986. If you want to see the New York Giants play a home game, you need to head to MetLife Stadium, which is actually located outside of New York City in East Rutherford, New Jersey. Established in 2010, the stadium was previously known as the New Meadowlands Stadium and can seat more than 82,000 fans. You can buy New York Giants tickets for an upcoming game with the help of the links above.